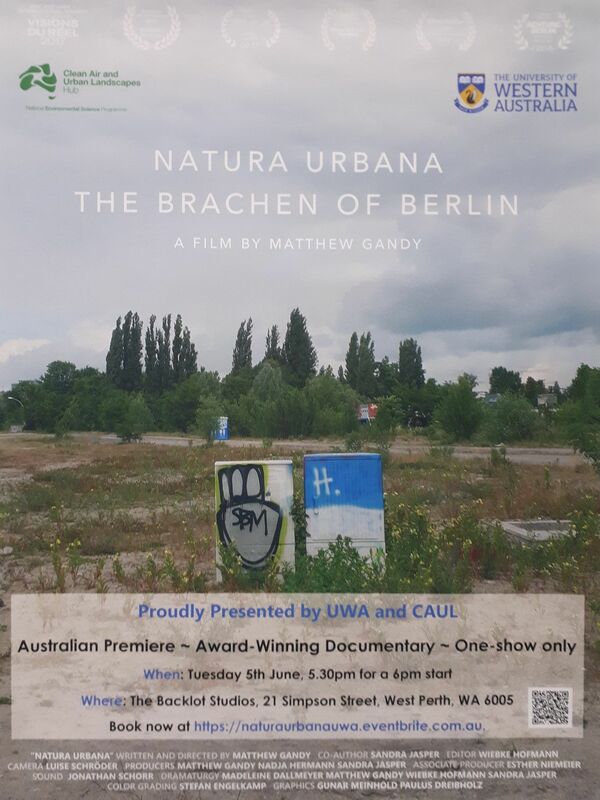 Tuesday 5th June 2018 saw the Australian premiere of Natura Urbana – The Brachen of Berlin in Perth, Australia. The sold out screening was organised and sponsored by The University of Western Australia, School of Agriculture and Environment and the Clean Air and Urban Landscapes Hub. Thanks all for coming along!